NASHVILLE, TN (August 3, 2015) – Dolly Parton wowed two sold out crowds during her recent Ryman weekend residency, which helped raise money for both the Dustin Wells Foundation/W.O. Smith School of Music and the Opry Trust Fund. 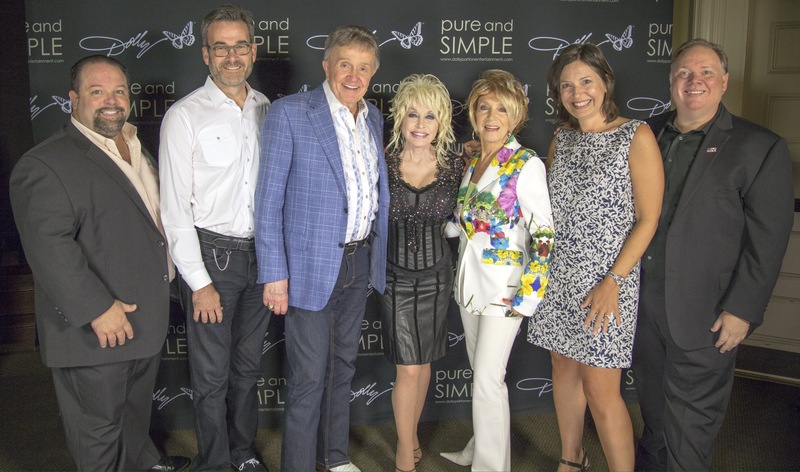 Pictured L-R: CTK Management’s Danny Nozell, Opry Trust Fund President Steve Buchanan, Opry members Bill Anderson, Dolly Parton, Jeannie Seely, Opry Trust Fund board member Sally Williams, Webster Public Relations’ Kirt Webster. This entry was posted in News, Press Release and tagged Dolly Parton, Jeannie Seely, Opry members Bill Anderson, Opry Trust Fund board member Sally Williams, Opry Trust Fund President Steve Buchanan, Pictured L-R: CTK Management's Danny Nozell, Webster Public Relations' Kirt Webster by dollyfan. Bookmark the permalink.